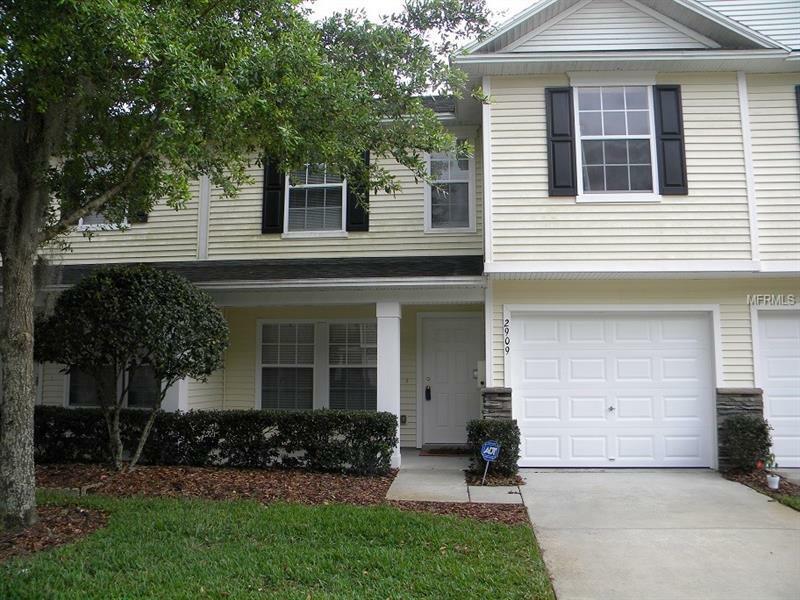 This Beautiful, 3 Bedroom with 2 ½ Bath Townhome is waiting on its NEW OWNER. Located in the highly desired Oakwood Terrace, this gem has no homes behind it. When arriving notice the inviting front lawn and the adorable front porch. This fantastic floor plan provides an open concept with the large family room combined with the very spacious dining area. The laminate flooring along with the natural light provides a bright ambience which is rarely found in other floorplans. The “L” shaped counter embraces this well-designed kitchen and the window over the stainless steel sink is highlighted by the beautiful backsplash. The Back Yard is a HUGE PLUS. With no homes behind you, the serene view provides privacy along with a quiet and tranquil place to relax. Upstairs, double doors lead into the Master Bedroom with a Master Bath and Walk-In Closet. There is a Loft that can be used for an office or playroom. The washer and dryer closet is conveniently located in the hallway. Homeowner recently had A/C and Water Heater replaced, both are still under warranty. This home is priced right and will not last long. Call today for your showing before its gone.